Aatish Taseer's fractured upbringing left him with many questions about his own identity. Raised by his Sikh mother in Delhi, his father, a Pakistani Muslim, remained a distant figure. 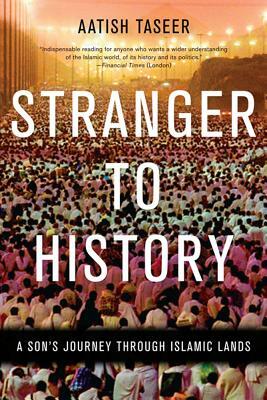 Stranger to History is the story of the journey he made to try to understand what it means to be Muslim in the twenty-firstcentury. Starting from Istanbul, Islam's once greatest city, he travels to Mecca, its most holy, and then home through Iran and Pakistan. Ending in Lahore, at his estranged father's home, on the night Benazir Bhutto was killed, it is also the story of Taseer's divided family over the past fifty years. Recent events have added a coda to Stranger to History, as his father was murdered by a political assassin. A new introduction by the author reflects on how this event changes the impact of the book, and why its message is more relevant than ever.